Last week, as part of Volunteer Appreciation Month, we hosted more than 120 citizen volunteers, AmeriCorps members and Senior Corps volunteers who serve in our city programs to join us in the rotunda for lunch, a ceremony event and a tour of the city. Our volunteers are a critical part of our team and our city programs! Services depend on volunteers and we are beyond grateful for their service. I encourage every resident to join us in strengthening our city through service and volunteering. The City of Orlando is committed to ensuring that every person, regardless of economic status has access to housing that is safe and affordable. We are currently seeking development partners to help us bring more affordable and permanent supportive housing to two vacant, city-owned properties in the Mercy Drive Neighborhood. The redevelopment will complement the Ability Housing project, Village on Mercy, and provide additional housing options for residents, a key component of the recently-completed Mercy Drive Vision Plan led by Commissioner Hill. Proposals are due at 4 p.m. on Thursday, May 31, 2018, and more information can be found at cityoforlando.net. This week we are celebrating National Small Business Week in the City of Orlando! Small businesses are the backbone of our local economy, providing jobs, goods and services and opportunities for our residents. Mayor Buddy Dyer gave a special congratulations to the Orlando Main Streets program, which is celebrating its 10 year anniversary this year. Since 2008, our nine Main Street Districts have welcomed more than a thousand new businesses, have created more than 6,200 new full and part-time jobs and have invested more than $1.14 BILLION in improvements, which has led to national exposure in publications including Inc. Our small businesses have helped our city gain national recognition and led others to discover the other half of Orlando. Council voted to approve an item that will further the city’s efforts to ensure we provide transportation opportunities for everyone and expand our residents and visitors connection to jobs, opportunity and recreation. This project specifically, helps further the completion of our Bicycle beltway by closing the current trail gap in our South Downtown area from the Central Business District at Anderson to our existing Lake Underhill Path east of our urban core. Together with our other planned projects, these will one day be a part of a trail system that connects our city to the region’s trail system in Orange, Osceola, Seminole and Volusia counties. Council held a hearing relating to the proposed disposition of city-owned land generally located north of W. Anderson Street, east of Chapman Court, south of W. South Street, and west of S. Division Avenue in the Parramore neighborhood. The land proposed for disposition is approximately .76 acres in area, and is surplus city land. 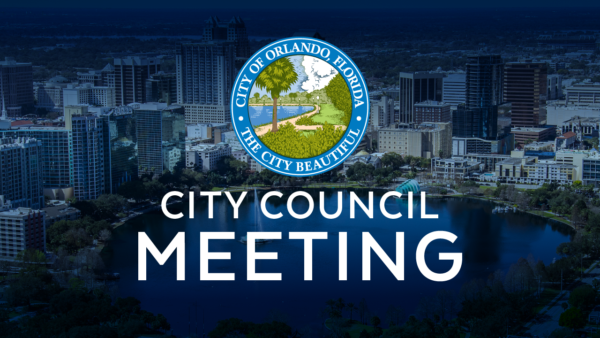 In accordance with state law and the City Charter, the city ran a “Notice of Proposed Disposition and Invitation for Proposals” in the Orlando Sentinel on March 10, 2018. In response to that notice, the city received two proposals for the purchase of the subject property, one from Bags, Inc., and the other from Snow & Associates.